‘Alyas Robin Hood’ is coming to a close, again. Friday, November 24, will be the show’s season (or possibly series) finale depending on how GMA will look at it. But while the first season of ‘Alyas Robin Hood’ proved to be a worthy competitor against rival ABS-CBN dramas, the second season looked anything but competitive. Season 2 (or Book 2 in teleserye lingo) of ‘Alyas Robin Hood’ began on August 14, six months after the first season ended. Initially, GMA wanted the series to go up against the long-running ABS-CBN action series ‘Ang Probinsyano’, and from the looks at it, Cardo (Coco Martin) vs. Pepe (Dingdong Dantes) would have been a worthy matchup. Instead, ‘Ang Probinsyano’ thoroughly dominated ‘Alyas Robin Hood’ from the get-go, with a 20% or better disparity in the ratings. After only a month, GMA ended the rivalry by demoting ‘Alyas Robin Hood’ to its original position of second in GMA Telebabad’s lineup. But not even the move back to its original timeslot rejuvenated ‘Alyas Robin Hood’. Against the KathNiel-led ‘La Luna Sangre’, ‘Alyas Robin Hood”s frustrations only grew as the series posted a score of 15% or less, a far cry from the 20% or more it earned during its first season. After racking up 115 episodes for season 1, ‘Alyas Robin Hood’ season 2 only managed to produce a total of 75 episodes. In short, an encore performance did not pay dividends for Dingdong Dantes and his team. So what went wrong for ‘Alyas Robin Hood’ season 2? Perhaps the most obvious reason why it failed is because it had to contend against ABS-CBN’s big-name stars like Coco Martin, Kathryn Bernardo and Daniel Padilla. No offense to Jericho Rosales and Arci Muñoz (‘Magpahanggang Wakas’), Ian Veneracion and Bea Alonzo (‘A Love to Last’), and Heart Ramos (‘My Dear Heart’), but as far as ABS-CBN is concerned, Coco Martin and KathNiel are among their most bankable celebrities today. And GMA knows it, but despite these overwhelming odds, they were still convinced that a new season of ‘Alyas Robin Hood’ would somehow slow their momentum. Too bad it didn’t happen, and now that season 2 will air its last episode this Friday, they should somehow enjoy a graceful exit for their efforts. Nice try, though. Whether or not they will have a season 3 (or book 3) of ‘Alyas Robin Hood’ will depend on GMA’s embattled braintrust. But after a failed continuation to the story of Pepe (Dingdong), it might be time for ‘Alyas Robin Hood’ to be put to pasture. It was a timeslot change that was unexpected and unfortunate. Last Friday night, GMA announced a pair of scheduling changes that shook the primetime landscape. First, the returning series ‘Alyas Robin Hood’ will now occupy the timeslot succeeding ’24 Oras’, and second, ‘Mulawin vs. Ravena’ will now air on the timeslot that was previously used by ‘My Love from the Star’. The timeslot change meant that the long-running ABS-CBN action series ‘Ang Probinsyano’ will now have its sixth different opponent. As it nears its third year on the air, ‘Ang Probinsyano’ has shown no signs of slowing down, earning ratings between 35-40% every night. ‘Mulawin vs. Ravena’, which premiered on May 22, seemed to be a worthy opponent for ‘Ang Probinsyano’ when it first aired. However, the series was a disaster from the start, and through 60 episodes, ‘Mulawin vs. Ravena averaged only 17-18% ratings-wise. Meanwhile, ‘Alyas Robin Hood’ showed some promise during its first season. 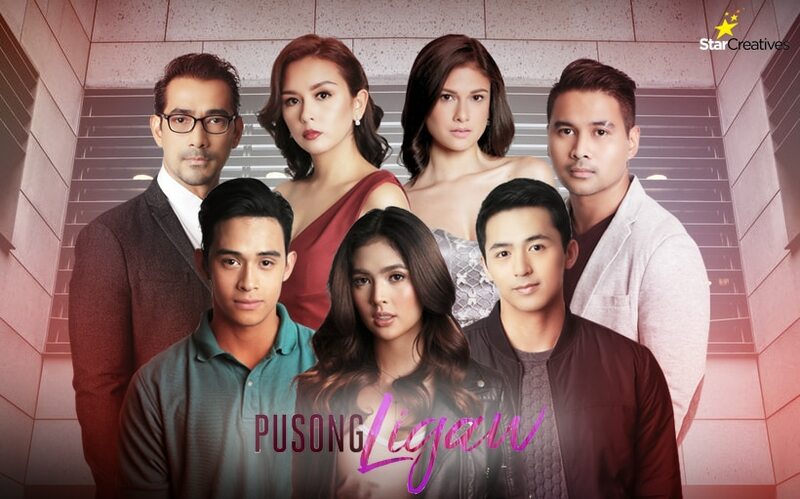 Despite facing uncharacteristically weak Kapamilya competition in ‘Magpahanggang Wakas’, ‘A Love to Last’ and ‘My Dear Heart’, ‘Alyas Robin Hood’ still came away with consistent ratings of around 20-25%, showcasing its potential. If ‘Alyas Robin Hood”s first season performance was of any indication, then GMA seemed to have made the right call. They think that the series will have a much-better chance against Coco Martin, and with some viewers no longer pleased with the endlessly long run of ‘Ang Probinsyano’, it could give GMA the opportunity to woo such viewers to watch Dingdong Dantes’ show. Still, even if ‘Ang Probinsyano’ appears to be in a creative nadir, they are still a force to be reckoned with. That said, if the second season of ‘Alyas Robin Hood’ fails to duplicate if not surpass its first season performance, it could mean big trouble for the Kapuso network. As for ‘Mulawin vs. Ravena, the demotion could still become either a boon or a bust. While the series will no longer have the pressure of facing ‘Ang Probinsyano’, they still have to worry about KathNiel’s ‘La Luna Sangre’, whose ratings of 35% or better is just as impressive as the former. Not only that, the series will have to contend with former ‘Mulawin’ star Richard Gutierrez. If in the past Richard made ‘Mulawin’ a popular series during the mid-2000s, now it will be up to him to take down its sequel. Whether or not ‘Mulawin vs. Ravena and ‘Alyas Robin Hood’ will thrive in their new surroundings remain to be seen. For now, let’s wish both shows good luck, otherwise expect another switcharoo coming up. This week will be the last hurrah for ‘My Love from the Star’. On Friday, August 11, GMA will give viewers one final glimpse into the love story of Steffi and Matteo. Since its premiere on May 29, the unlikely pairing of Jennylyn Mercado and Gil Cuerva breathed new life into the characters originally portrayed by Korean stars Jun Ji-hyun and Kim Soo-hyun, and people who watched the original series looked in awe at the performance of the duo. Notwithstanding the story and the actors involved, it is very surprising to see ‘My Love from the Star’ run for only a short period of time. 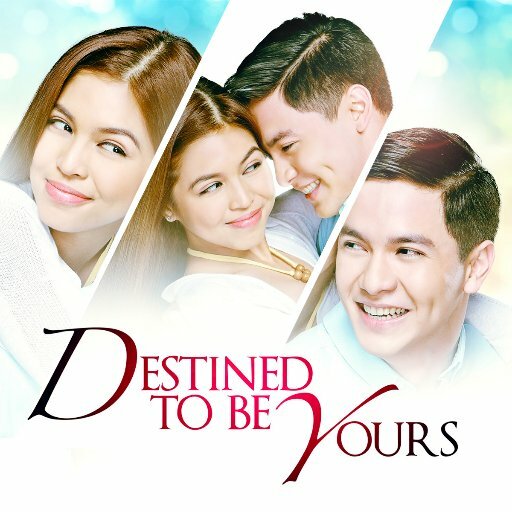 Clocking at only 55 episodes, this series joined a dubious list of Filipino teleseryes that did not last at least 80 episodes (this included its predecessor ‘Destined to Be Yours’ which ran for only 63 episodes). But unlike AlDub’s ill-fated debut series, the brief run of ‘My Love from the Star’ has nothing to do with the ratings (the series regularly fell victim to ‘My Dear Heart’ and ‘La Luna Sangre’ throughout its tenure). In fact, GMA planned it to run for only a short period of time in order to remain faithful to the original Korean series. It was a shame that ‘My Love from the Star’ had to air for only a few months. The brief tenure of the show did not allow enough time for veteran Jennylyn Mercado and newcomer Gil Cuerva to develop their much-needed chemistry. Still, as far as GMA is concerned, the pairing between Jennylyn and Gil is only temporary. Unless GMA plans to give the duo another series to work with in the future, all signs point for this on-screen duo to move on and focus on other opportunities. In short, Jennylyn Mercado and Gil Cuerva together is like a one-off project. But if GMA is satisfied with their performance, perhaps another, longer series could be in the offing for the two. The final five episodes of ‘My Love from the Star’ should be a great one. This will be the final opportunity to see how Steffi (Jennylyn) and Matteo (Gil) forge their love for each other. P.S. : The final week of ‘My Love from the Star’ will be dedicated to former cast member Spanky Manikan, who unexpectedly left the show due to health reasons (it was later revealed that the actor is suffering from Stage 4 lung cancer).